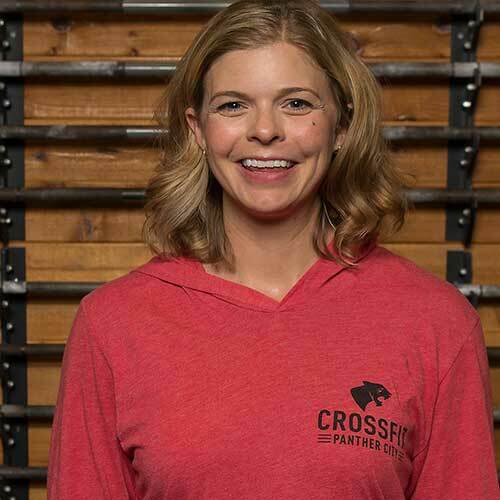 Dabney is a CrossFit Level 1 certified instructor and certified nutritionist. A collegiate basketball player and track athlete, she received her first Bachelor’s degree in Kinesiology from Westmont College. She has worked as a personal trainer, Spinning, and TRX instructor since 2005. Dabney received her BSN from TCU and worked as a RN in the neonatal intensive care unit at Cook’s before having her first daughter in 2010. Dabney’s long-time passion for fitness and nutrition was reignited through CrossFit in 2011. She strives to be a role model for her family, friends, and clients by leading a healthy lifestyle. She currently works as the Director of Operations and a certified nutritionist for Doctor’s Orders (www.drsorderscenter.com). Her first joy is her family; her husband, Kelly, and two daughters, Emma and Madelyn.